Samsung walked through the fire when the company was recently forced to recall and eventually discontinue over two million fire-catching Galaxy Note 7 devices. But it seems the tech giant hasn’t quite given up on its faulty flagship smartphone yet. According to a report from South Korean outlet The Investor, Samsung might be contemplating selling refurbished Note 7 units starting from next year. The rumor comes from an undisclosed “industry source” and further speculates that the South Korean manufacturer will mostly target emerging markets like India and Vietnam to retail its refurbished handsets. “Samsung has not made a final decision yet, but it will likely sell the refurbished Note 7 units next year,” the source said. 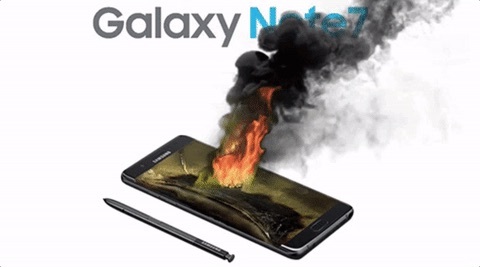 The South Korean giant has been diligently investigating what’s possibly causing the Note 7 to spontaneously combust, but its engineers have been unable to conclusively identify the source of the problem. According to reports, Samsung opted to test the hazardous Note 7 series in-house prior to releasing it to the masses. By comparison, most electronics manufacturers leave it up to third-party firms to run safety diagnostics. Erratum: The Investor’s report was published in late September.